What is in Our Hand? T his last week I had the honor of praying with someone who was overwhelmed. Hearing the weariness in their voice, I could sense the “I need some help here folks” heartache. I prayed for an Aaron and a Hur to discern the need, come and support. I am fascinated with the story of Moses on the hill, with the battle raging below as Joshua and his men fight the Amalekites (Exodus 17). As long as Moses kept his arms up holding the staff, they were victorious, but when he lowered his arms … um .. not so pretty. Can you imagine how tiring that would be to keep your arms up through the entire battle KNOWING yourself and others count on it! God made it clear that as the staff was lifted, the victory was His. 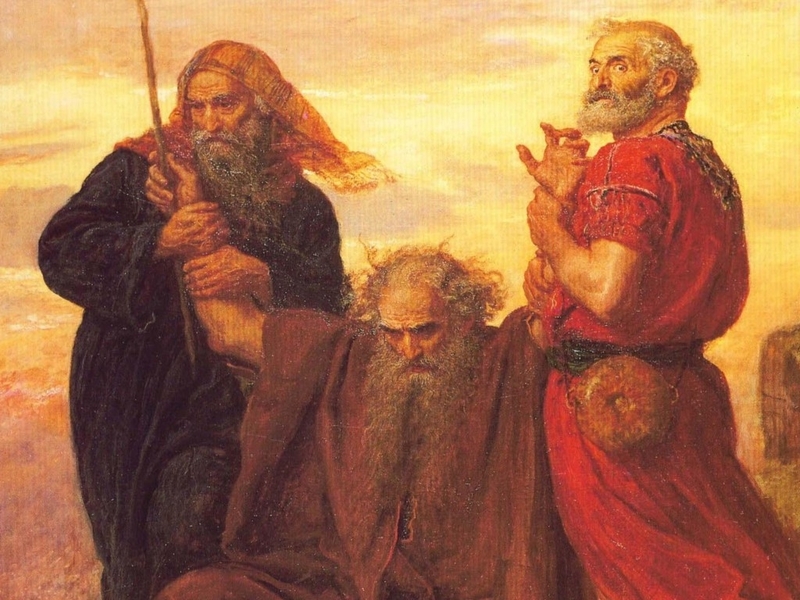 This staff of Moses marked milestones in his experiences with God. At the burning bush, the staff turned to a snake. It was involved with the plagues of hail and locusts. In Moses’ hand, the Red Sea parted. The staff tapped against the rock bringing fresh running water. Now, a raging battle is fought and won. The staff in itself was not magical. It represented the power of God and the dependence Israel had on their God. So it is with us, our staff is our trust in God, the confidence that His power will get us through. It is our own God experiences, our dependence that He is faithful. That as we keep our hands lifted to the throne the battles are won. Reality Check! Do we get weary, tired, discouraged, overwhelmed even when holding ~ lifting the staff? By golly YES we do! I am fully persuaded, we NEED to seek and take with us Aarons and Hurs on our journey. We NEED to ‘be’ an Aaron and Hur for another. I do not want to read into the text, but I am sure Moses didn’t have to ask for something to sit on, the guys discerned his need. Perhaps he did ask for help with the lifting of his hands. May we ask, and use discernment. As we allow others to get close enough to help raise our arms, hold that confidence up, trust in His character and Word, our weariness will soon become strength, our defeats will become victories. Asking for help can be uncomfortable, being vulnerable is not a sign of weakness, it is a declaration of my hand is empty … please take it! The battles, yes they are still the Lords’ to win, but He uses the whole lot of us to do so, Moses, Aaron, Hur and Joshua with the many warriors! In those ancient days, men would put their staff ahead of their next step, to make it sure and steady. What is in OUR hand? What are we putting out there first? Who is along side us? This entry was posted on January 16, 2011 by Inspired Fountain. It was filed under * Miscellanous Stuff and was tagged with Aaron, encouragement, Exodus 17, Moses Staff.